Penguin wobbling toward 1984 – Escape Reality, Read Fiction! On February 9, Penguin Books announced that it has pulled out of its contract with OverDrive to supply ebooks and downloadable audiobooks to libraries. The effective date of Penguin’s withdrawal from the library space is February 10. Are you watching all those birds in tuxedos? They’re marching away. The penguins have been milling around since November 2011, ever since Penguin Books stopped providing new titles for libraries through OverDrive. Since November, only their backlist has been available. So a library could get added copies of the first 33 books in J.D. Robb’s In Death series, but when the 34th book comes out in February, libraries won’t be able to get it. This decision doesn’t just affect OverDrive. 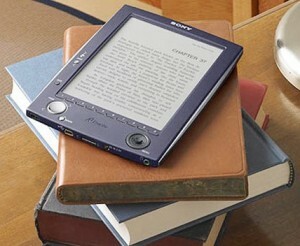 Penguin Books are not available through 3M, OverDrive’s newest competition. And they won’t be. Penguin Books doesn’t have a contract with 3M. As of this writing, Penguin is negotiating a “continuance agreement” with OverDrive, so that libraries won’t lose access to the Penguin ebooks they currently have in their catalogs. In other words, the ebooks the libraries purchased last October. And the added copies they purchased last month. That’s the thing about ebook purchases: they usually aren’t purchases. They’re usually licenses. This is a point where libraries need to read the fine print in the contract with their vendors. So without that “continuance agreement,” Penguin can withdraw all their content. All their ebooks, all their audiobooks. In an infamous 2009 incident Amazon erased copies of George Orwell’s 1984 and Animal Farm from Kindles when it turned out that the particular edition users had purchased was being sold by a publisher that didn’t happen to have the rights to sell it. If Penguin withdraws OverDrive’s right to lend Penguin content, the same thing could happen to libraries. Penguin content could disappear overnight. Penguin Books published Kathryn Stockett’s The Help. It’s too bad that the recent meeting between the leaders of the American Library Association and top executives of Penguin Books as well as other Big 6 publishers did not “help” Penguin to reach a conclusion more favorable to libraries than this complete withdrawal. For the sake of library patrons everywhere, I hope that Penguin will see the light on this issue and reach a “continuation agreement” with OverDrive soon. Ugh. Backwards, misguided step. I hope they get their heads out of their (cute little waddling black-and-white-feathered) asses soon.